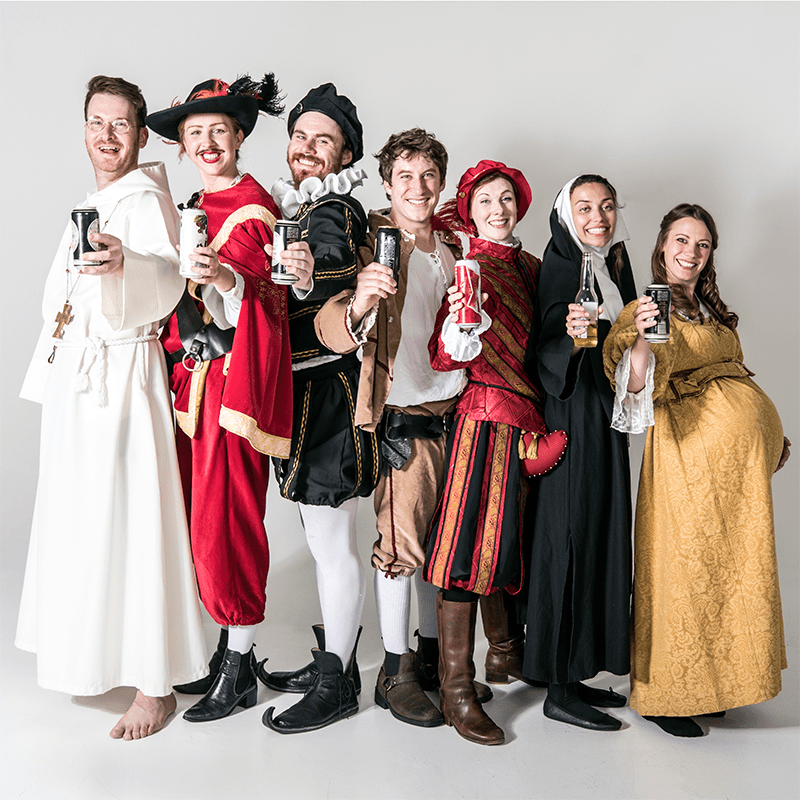 The Shakespearean-inspired ‘S***-faced’ Romeo and Juliet show is without a doubt an unconventional, yet entertaining comedy-theatre production to visit this year’s Adelaide Fringe. The show maintains the tragic and familiar tale of two star-crossed lovers, whose fates are doomed because of their feuding families; while, some less than traditional dialogues, plot twists and props, also weave their way into what soon becomes a slightly peculiar storyline. And the most fascinating part, from which we soon realise the title is born, is the inebriated performer that opens and randomly narrates through the scenes – with drinking heavily presumably being their only pre-show prep. Rather excitingly, each night means a different cast member is called upon to entertain using their drunken impromptu charm – giving every show an exclusive feel and one-of-a-kind appeal. Despite some more vulgar and crude material, the actors still acknowledge the play’s 16th century roots; but they don’t ask, nor demand that their audience members be experts in iambic pentameter. The 60-minute-long production might, for some, admittedly feel like a distasteful or rushed rendition of an iconic piece of literary work, but the satirical and bizarre nature of the show – where the Capulets also identify as cannibals – is entertaining in its own right. Perhaps the facetious, fast-paced and easy-to-follow nature of the show, combined with some light-hearted audience interaction, is what made it another valuable addition to the 2018 Fringe.